Let the theme ‘Faces of the World’ inspire you in a contemporary way. Think out of the box, just like Vincent used to do. Surprise everyone! Let the camera be your paint brush and participate in this contest! FACES OF THE WORLD – through the eyes of van Gogh. All entries will be judged by our professional independent judges. Judging is subjective, however we have a few simple guidelines for putting together your entry. – Make sure it’s strong on its own. It should relay the story, moment or concept you want to convey. – Trust your instincts, but also ask the advice of those you trust. Sometimes you need another opinion to improve your edit. Ask someone with a good eye, be it another artist, or a creative who has experience in the field. In addition to the Vincent van Gogh Photo Award, this edition will also include a competition for students. This competition is co-organized by the SintLucas. and students of the SintLucas are requested to registrate with their personal SintLucas email address. All photographers retain their copyright. Winning work will only be published in the online gallery and in promotion related to the Vincent van Gogh Photo Award. 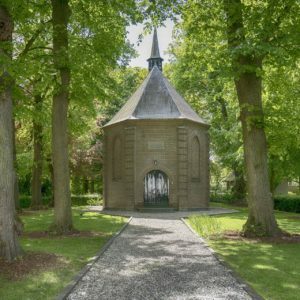 During the fall of 2019, all winning entries will be exposed during an outdoor exhibition in the center of the city of Nuenen – the Netherlands. The approx. 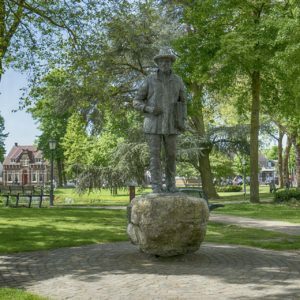 50 winning entries will be located at strategic locations related to Vincent van Gogh’s period in Nuenen – the Netherlands, where he created most of his works. 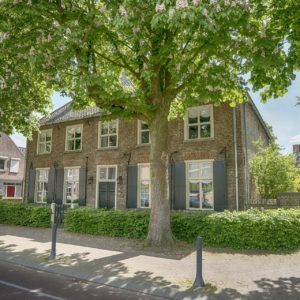 Walking through the historic center of Nuenen, the visitor will step into the world of Van Gogh and enjoy the Photo Exhibition at the same time. The Van Gogh Museum in Amsterdam houses the largest collection of art works by Vincent van Gogh in the world. The permanent collection includes more than 200 paintings by Vincent van Gogh, 500 drawings and more than 800 letters. The museum also presents exhibitions on various subjects from 19th-century art history. Brendan de Clerq, born in 1964 in Dublin, is an professional Irish/French photographer and mixed media artist. His work is characterized by powerful imaginary with a clear emotional expression. His portfolio is a direct reflection of himself. His earlier work was dark and full of contrast as currently it’s more vibrant and capturing light. He is inspired by the creative world around him. John Geven Studio‘s has a divers portfolio of customers ranging from Multinationals to celebrities, sports-clubs and private persons. 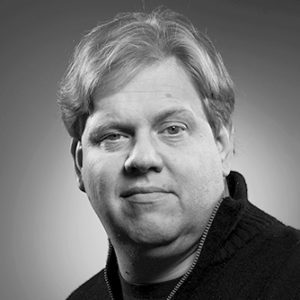 Together with his team, John has a clear own signature when it comes to professional photography. In 2007 his works were exposed in the exposition ’From Hero to Zero‘ in the ’Oude Kerk’ in Amsterdam, followed by the exposition at the Technical University of Eindhoven. An entry consists of one, two or max. three digital image(s). No, you may enter as many entries (of max. three digital images) as you like. WHAT DOES THE "FACES OF THE WORLD" THEME INCLUDE? It actually is a broad theme, with many possibilities and freedom for the photographers. – What do you see through the lens as the face of this world? – Who or what is the face of this world for you? – Is this actually a face of a person? – Or is this a landscape or place in the world that you have recorded with your camera? – Do you know someone or a group of people who are the face of the world for you? – How do you experience our world as a photographer? – Is it a beautiful paradise or is it not? – Are they the worldly problems? Light also played an important role in his paintings. Vincent was able to capture the light beautifully on the canvas. The possibilities are endless!! Be inspired by our theme, with your images! There is no need to refer to-, or incorporate Vincent van Gogh or Nuenen in the photo(s). The title of this event is a tribute to Vincent. He recorded with a brush, what he saw and experienced. You can do this through the lens of the camera, because maybe your picture hangs in the living and working world of Vincent in his period in Nuenen! Let your inspiration as a photographer take its course. Make sure it’s strong on its own. It should relay the story, moment or concept you want to convey. Trust your instincts, but also ask the advice of those you trust. IS THERE A TIME FRAME FOR WHEN MY PHOTOS MUST HAVE BEEN TAKEN TO QUALIFY FOR THIS AWARD? No, there are no time frame restrictions for this award. Each digital image should be send without edges, watermarks or logo’s in JPG format of minimal 3,000 pixels (longest side) 300 dpi and with a file size of at least 2 MB and preferably not more then 4 MB. Images may be color profiled in RGB, Adobe-1998, or not color-managed. No, we allow images that have been entered or have won in other photo competitions, including other contests. No. You retain copyright to your photograph and we will not sell your photo entry for a fee. All entries will be posted online so that viewers may view all entries. Winning entries will be used in connection with the promotion of the Award for a period of 24 months from the date winners are notified. Please do not call or e-mail about the status of your entries. 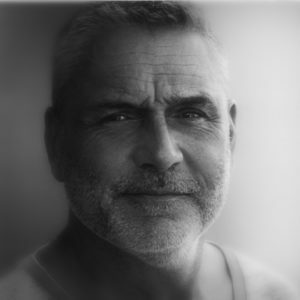 Profoto was founded in Stockholm in 1968 by photographer and engineer Eckhard Heine and photography equipment retailer Conny Dufgran. Their relationship Began When Conny solar Eckhard a flash unit That did not work. Annoyed with the faulty unit, Eckhard went home to invent a new type of flash. He Returned a couple of weeks later with a superior unit. A few years after That, Eckhard and Conny exhibited the first Pro-1 generator at the Photokina tradeshow in Cologne. It was an instant success. Profoto was born. With a bang. Today, our products are used by the best in the industry. Whether it be on a billboard or in a fashion magazine, there’s a good chance That the image you are looking at was created with the help of our lights. But eventhough we Continuously refine and improvement our equipment, we stay true to Eckhard’s and Conny’s ideals. We Still Believe That A Light Shaping Tool Should feel right, sound right and be aesthetically pleasing. Just like the painter’s brush or the musician’s instrument, its shape Should Reflect its function. We will never let technology rule over the artist. Our tools are not Obstacles but lighting solutions, Designed to help you turn your ambition into reality. 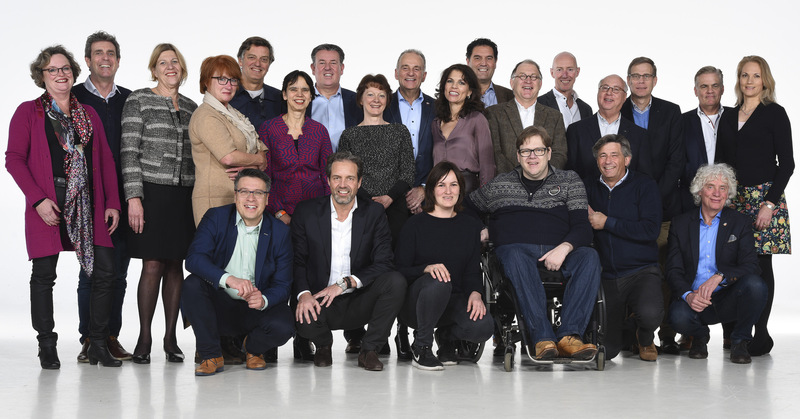 As Rotary Club Nuenen we are part of Rotary International, an international service organization of 1.2 million neighbours, friends, and community leaders who come together to create positive and lasting change in our communities. Our differing occupations, cultures, and countries give us a unique perspective. Our shared passion for service helps us accomplish the remarkable in providing humanitarian services, encouraging high ethical standards in all vocations, and to advance goodwill and peace around the world. We try to protect the most endangered species on the ‘Red List’ of IUCN, such as the tiger, elephant, rhinoceros, giant panda, apes and river dolphins. Not only are animals threatened, their habitat is also under pressure, for example by logging, dams or melting ice. We protect nature in collaboration with partners, governments, research institutions, companies and local communities. By cooperating with these organizations we can show the importance of nature protection in a special way. Rotary, along with our partners, has reduced polio cases by 99.9 percent worldwide since our first project to vaccinate children in the Philippines in 1979. 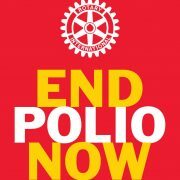 Rotarians have helped immunize more than 2.5 billion children against polio in 122 countries. For as little as $0.60, a child can be protected against this crippling disease for life. We are close to eradicating polio, but we need your help the close the final gap. More and more children in the Netherlands are, for financial reasons, not able to participate in activities that are normal for their peers. They often literally stand on the sidelines. The ‘Leergeld’ Foundation wants to prevent the social exclusion of these children by allowing them to join! The 94 local ‘Leergeld’ foundations, jointly operating in 250 Dutch municipalities, offer these children in the ages of 4 to 18 years, the opportunities to participate in in- and of out-of-school activities. It can involve children activities in the fields of education, sports, culture or welfare activities, such as participating in school trips, music lessons or joining a sport- or scouting club. With this ‘Leergeld’ offers them a platform, in order for them flourish, develope knowledge and skills and gain self-esteem. 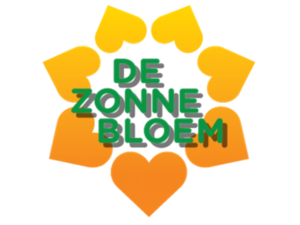 National Association de Zonnebloem in the Netherlands, enriches the lives of people with physical disabilities and that of their volunteers by making social and recreational activities possible. De Zonnebloem strives for a society in which people with a physical disability can participate carefree and self-evident. ‘Carefree’ means here that someone with a physical disability should not be bothered by more practical care than anyone else.